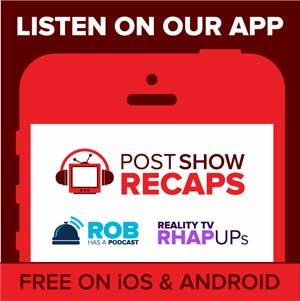 Rob Cesternino and Zach Brooks recap House of Cards Season 2, Episode 7. Join us to discuss Chapter 20 of the Netflix original series. PLEASE NOTE: We will only be discussing up to House of Cards Season 2, Episode 7. Please do not post about anything past this point. Now that we’re already almost 2 years in to the Walker presidency, how is he doing? Was the Anti-Walker ad warranted? How come it takes Frank so long to realize that Raymond Tusk is funding the ads? Why does President Walker think Frank’s punching bag gift is so hilarious? Since when is Doug Stamper such a ladies man and international man of mystery? What do we think of the Double dating skills of Frank and Claire Underwood? Doesn’t anybody ever get tired of eating Freddy’s ribs? Is Remy a stage 5 clinger with Jackie Sharp? Why does Tusk need the chinese to get his money in to Lanigan? Why is Jackie not signing the bill that Claire Underwood came up with. Is President Walker unraveling under the pressure? Why was President Walker so mean to Tricia at dinner when she brought up spin class? Why can’t he have any pie? Does President Walker mind that Frank Underwood is busy building an elaborate home for his toy soldiers? Why is there so much staring at paintings in this episode? Did it mean anything that the Kennedy administration was brought up again? What’s next between Frank, Tusk and Fang?